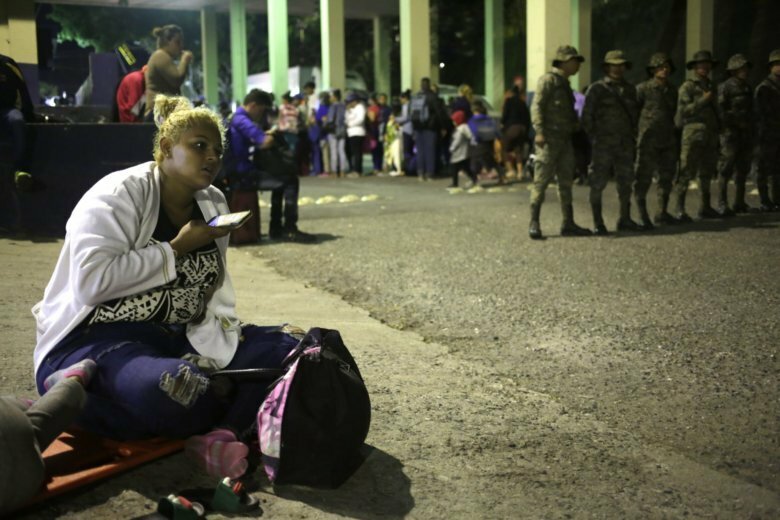 AGUA CALIENTE, Guatemala (AP) — More than 1,700 Hondurans were walking and hitchhiking through Guatemala on Wednesday, heading toward the Mexico border as part of a new caravan of migrants hoping to reach the United States. Over 1,700 migrants passed through the Agua Caliente border crossing under the watchful eyes of about 200 police and soldiers. Some migrants told The Associated Press that they crossed informally elsewhere. Guatemala’s National Immigration Institute said there were 325 children or youths under 18 in the caravan. There were also just over 100 people from El Salvador.